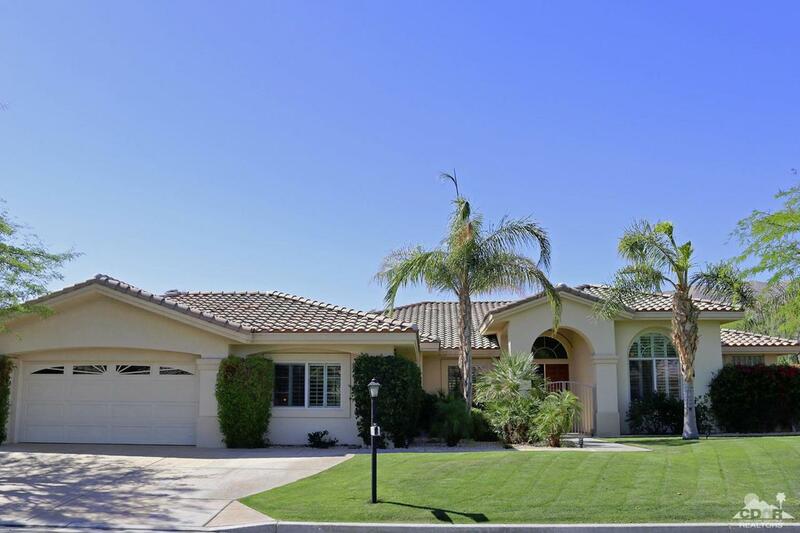 Open Sunday- Long-term rental w/Mountain views like crazy, BIG PRIVATE BACKYARD & LOT,LIGHT,BRIGHT SOUTHERN EXPOSURE,4 bedrooms,4 baths.3403 sq.ft. home-Plenty of room to roam/ entertain-inside & out!Soaring ceilings,plantation shutters,dual master suites,convenient split floor plan-perfect for guests.One large room's ideal for crafting, exercising or a game room.What a location!Ivy League Estates is a friendly,quaint gated community located out of the windy area,near Eisenhower Hospital, grocery stores,restaurants,movies,you name it-all within a short drive or walking/biking distance-Pedestrian paths lead the way.The mature landscaping & covered patio @ this home makes the perfect setting for continuing entertaining space outdoors-Sparkling pool & spa & lots of SUNSHINE awaits, protected by full covered patio across the back.Don't forget the MOUNTAIN VIEWS. Nice big backyard for entertaiing- filled with southern exposure sun in ultra privacy.Also for sale @ $689,000 + owner may carry!